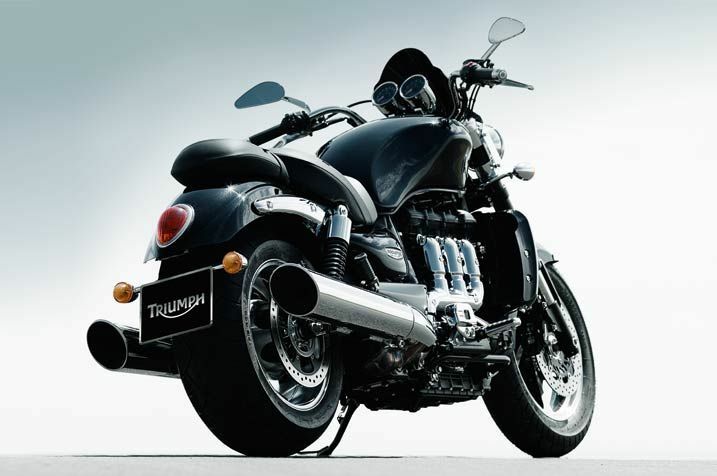 Great news to all Triumph lover, there will be a new bike to gawk at in 2013 and they name it the Rocket III. 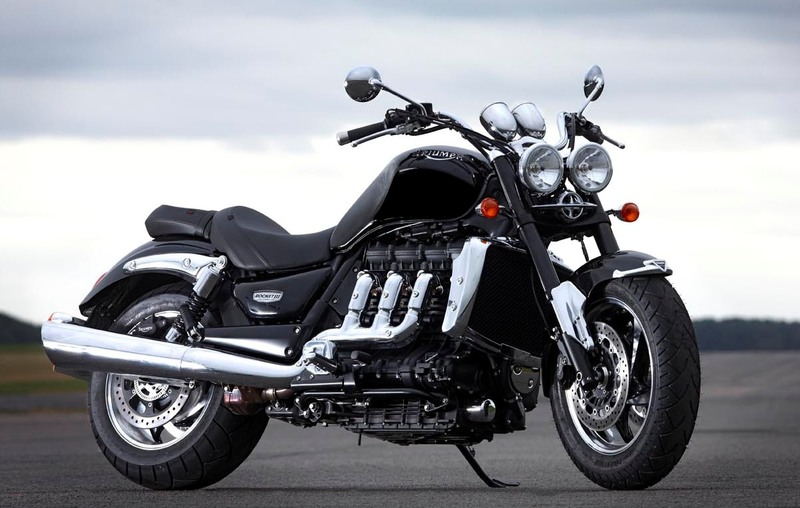 Triumph are set to make two variations of the bike which is the Roadster variation and the touring variation. It has been said that both variation had undergo a significant improvement from the previous models. This however, we can’t really confirm due to the fact that we can’t even test the bike here in Malaysia. We wouldn’t dare say that the bike will ever come to our shore as a matter of fact, we haven’t seen one on the road of Malaysia. If there is any, then it will be a great pleasure for us to make a film about it. The new roadster were said to have it’s electronic restriction on the first three gears removed and that does mean the bike will now be able to go all out from the start. When you hear a 2.3 liter engine on a car, you may felt a bit bored and not even intimidating to drive. Remove two wheels from the four wheels vehicle and make a motorcycle with the similar engine, you will definitely be terrified to even twist the throttle. The sound of the Rocket is loud and the inline 3 notes are clearly noticeable even from afar. We couldn’t imagine if the bike is here in Malaysia and it is definitely a worthy bike to be brought in just to see the reaction on the face of the people who are to look at it cruising on our roads. Whatever it is, the 2013 Rocket 3 will definitely continues the bike’s course in making it’s mark in the very limited and small group big muscle motorcycle on the road. We will keep on the lookout regarding this bike and will definitely bring more news about the bike in the future. Please do LIKE our FACEBOOK PAGE and SUBSCRIBE to our YOUTUBE CHANNEL for more of our latest updates.